Christmas brings out the best of each city, and in the case of Barcelona we find a population that is keen to celebrate this time of joy, color and family time. In addition, the Catalan capital is characterized to bring to the Christmas spirit its own traditions. The Santa Lucía Market is the oldest of its kind in the city. 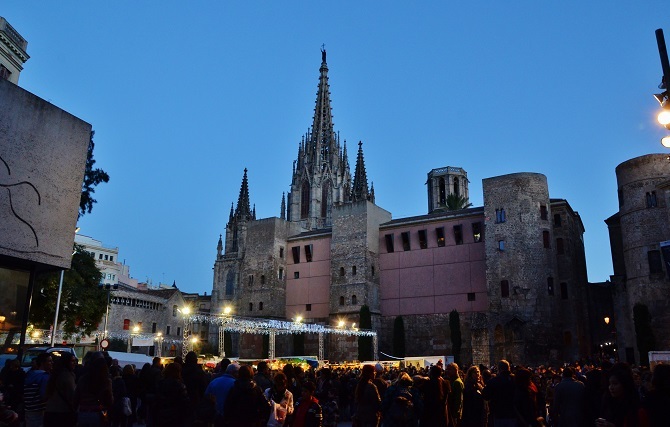 With more than 230 years of history, each year is faithful to its appointment in front of the majestic façade of the Cathedral where you’ll find more than 200 stands of Christmas products and crafts. And what typical product of Catalonia can we acquire as a souvenir? The “caganer” is the Christmas figure par excellence. It is a figurine that portraits a man moving his bowels in nature, usually well hidden in the traditional crib. It is a symbol of gratitude that gives back to the earth what it gives us in abundance in other way. 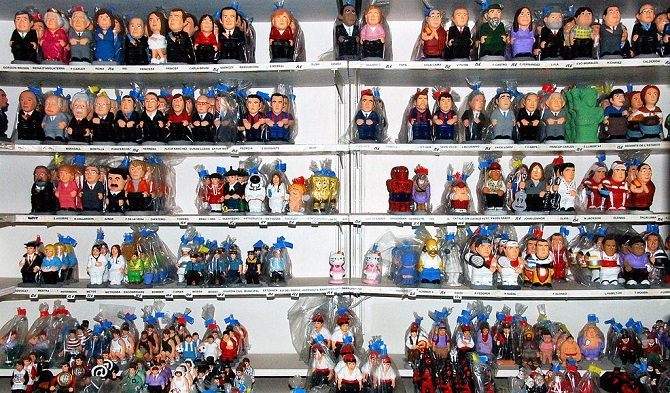 Because of the popularity of this beloved Christmas figurine, it’s typical every year to make versions with celebrities. Many famous people such as Obama, the Pope, F.C. Barcelona players have been represented in this intimate pose; and of course, this year will be unmistakably for Donald Trump. Plaza Sant Jaume is the place chosen every year by the City Council to show its official crib, large and matching in style the political government that holds the power at the moment. This year, the atypical representation of the crib have caused controversy among the public, since the scenes of the Nativity are inside crystal spheres that simulate the famous snowglobes, and the Three Wise Kings do not appear. The “pastorets” (shepherds) are the absolute protagonists of all the Christmas traditional performances in Catalonia, and there is no school in Barcelona that doesn’t represent them at with their young students. We can also appreciate them in a more scripted way and even with humorous versions in the different and numerous theaters that spread throughout the city. 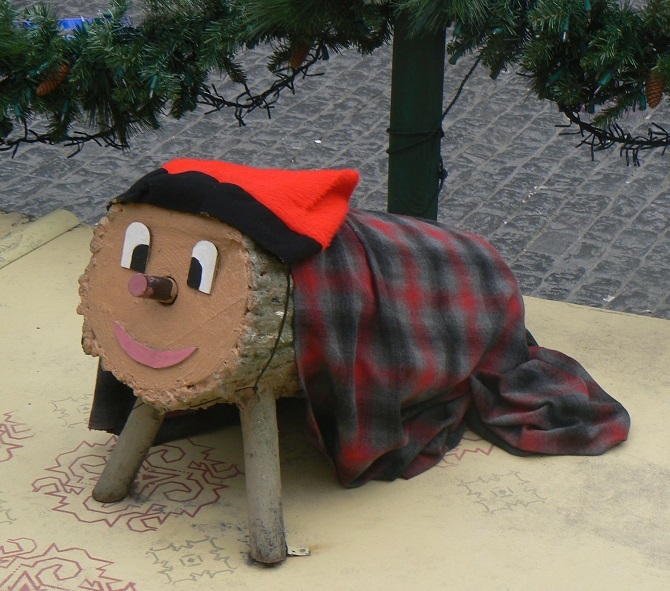 The caganer is followed in fame by the “cagatió”: a decorated Christmas trunk that the children of Catalonia must take care of and “feed” every Christmas until December 25th, when they can beat him under his blanket and it will release from its interior a multitude of treats and gifts. The traditional menu includes: soup of galets (pasta shells), escudella (typical Catalan stew) and cannelloni are the main protagonists of the Catalan cuisine during the Christmas season. There is no restaurant that stops serving them at this time of the year. The gardens of Maria Cristina is the place chosen by the people of Barcelona in the last few years to receive the New Year, accompanied by the national tradition of the twelve grapes that must be eaten at midnight to the rhythm of bell chimes. Once you’re done, a festival of fireworks paint the sky and you can also enjoy the always recommended light, water and color show at the Font Màgica that takes place every year. A perfect plan just five minutes away from your apartment in Miró Park. 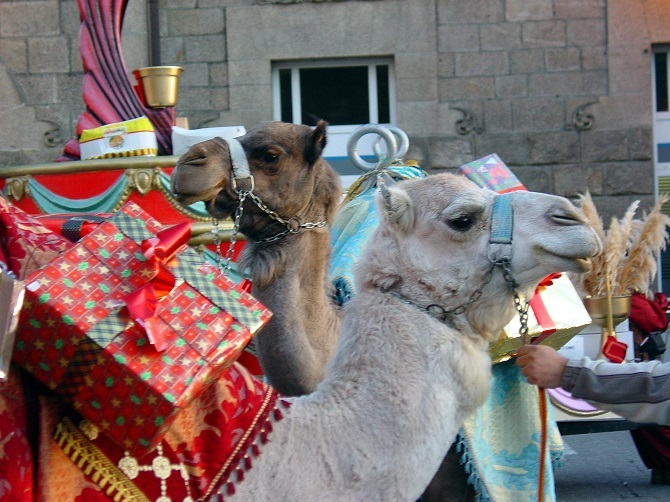 The 5th of January is the most awaited date by the Spanish children, since on this date their Majesties the Three Magi (Three Wise Kings) pass through the streets of the city in a parade aboard their camels or floats sharing joy, illusion and sweets among the crowd that anxiously awaits their arrival that same midnight. It’s on the morning of the 6th of January when the Spanish children receive their presents. The impressive Liceo and Palau de la Música host each year a special program in which are interpreted the most emblematic works of Christmas orchestrated, such as the magical Messiah of Hendel. The decoration with Christmas lights is already a classic that gives the starting signal to the Christmas period. In Barcelona, for several years now, the magic of Christmas is present in each of its neighborhoods, and it’s possible to enjoy it in any corner around these dates. The Gothic Quarter is one of the best options, you’d be able to make an itinerary by following the flashes of the lights while you enjoy a cup of hot chocolate. The great ice rink that year after year is place in Plaza Cataluña has given way to a great ballerina and a fair trade market, but for those who enjoy the sensation of ice skating, they still have an offer in places such as the shopping center of Pedralbes or a gigantic rink in the nearby town of L’Hospitalet. 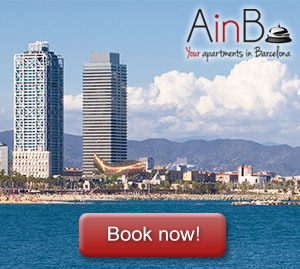 From the team of AinB we just want to wish you a merry Christmas and invite you to enjoy this magical city with us. We are always happy to welcome you!